You might be someone like me who likes to make things from scratch. Leading to the idea to bake your own bread more often. But… Time issues bury your good intentions before you actually get the routine into baking. Simply because we don’t always have the time to let the dough rise before baking. 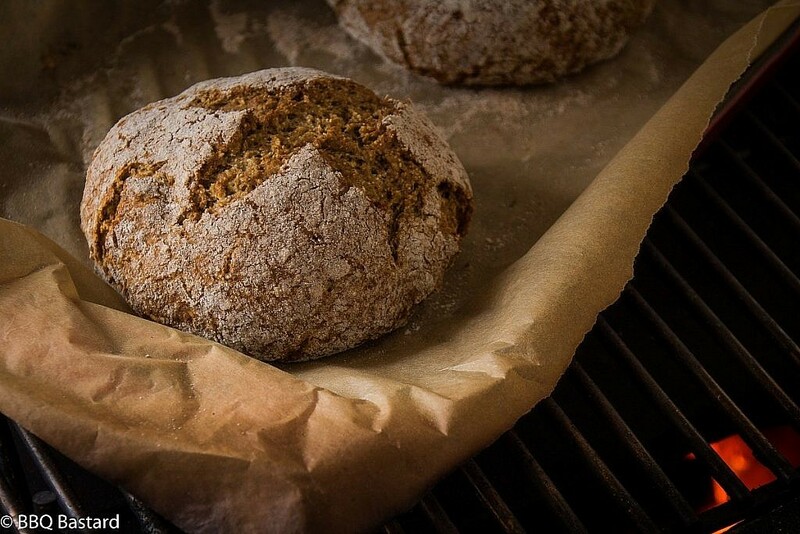 This Rye-Sodabread brings the solution to this well known problem. You can prepare it’s dough while your BBQ is getting the right temperature. 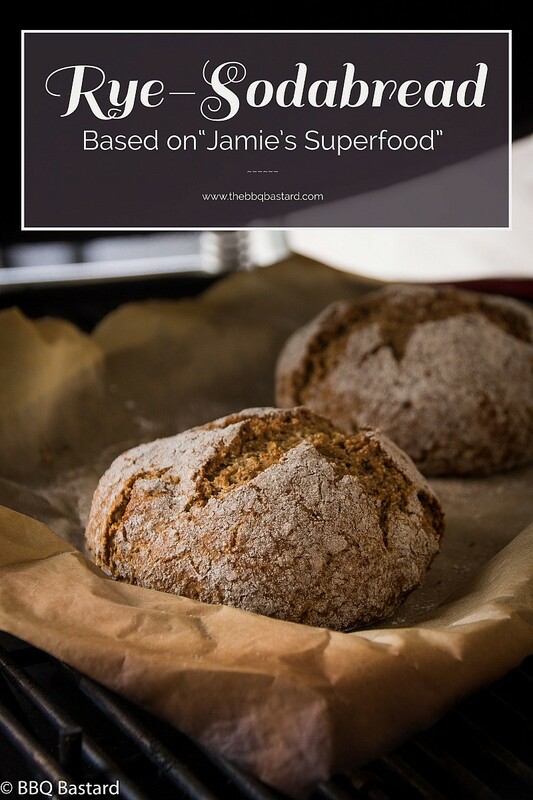 The recipe for this rye-sodabread comes from the book “Jamie’s superfood” and like Therèse Gaughan from Kitchenexile.com pointed out on my instagram page, he might have found his inspiration for the recipe in the traditional irish soda bread. 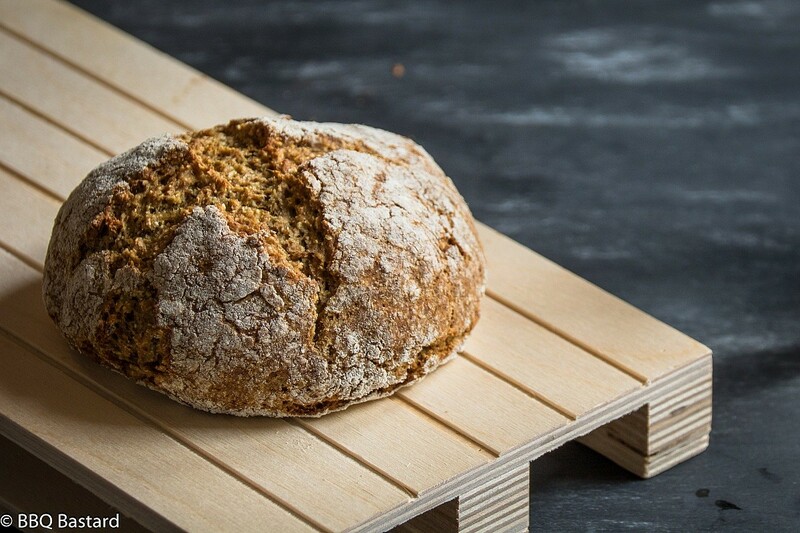 In the beginning of the 19th century these soda breads were made in Ireland and Scotland, where the grown wheat was moister than in other regions. They encountered some problems with baking regular yeast breads and experimented with some other products and recipes. The solution was found in soda. By combining the softer flour from the moisty wheat with soda and buttermilk they invented the sodabread. The chemic reaction from the soda with the acids in buttermilk made the dough rise immediately. Therefor the sodabread doesn’t need to be kneaded or risen at all. Perfect for last minute baking projects. And the best part: it tastes delicious and is pretty easy to make on the BBQ. Actually while writing down the recipe I notice I’ve been a bit stupid not baking the breads on the platesetter stone itself… Anyway they turned out great too! 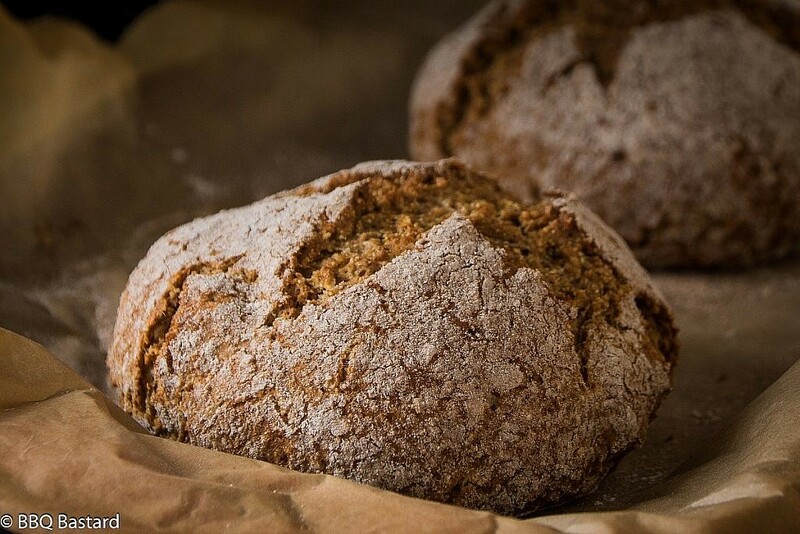 The original recipe is for a whole rye-sodabread and uses wholemeal and rye flour and oatmeal. I didn’t change the ingredients but opted for baking little breads instead of a big one and used them as Burger Buns. Delicious idea but I have to admit they were a tad too big/heavy for my giant burgers (unless you’re a really good eater). So making them a bit smaller won’t hurt you. Btw. I bet they would taste awesome with my “Chili” too. You could easily use this recipe to bake a bread with the remaining heat after a regular BBQ session. If you like what you read over here, please take a moment to share a word. I’d be happy to interact. You can also support the maintainance of this site by sharing this post so it gets spread easier and I have more possibilities to grow and bring more of these delights. Platesetter. Depending on what kamado you use. In a Weber style BBQ you could use a pizza stone as heat deflector for indirect cooking too. 2. Place the whole wheat flour, oatmeal, soda and salt in a mixing bowl. 4. Add the buttermilk mixture to the flour mixture and knead it through until it's forming a dough. Use your hands to beat the dough and bring it together in a ball. There's no need for a machine here. Divide the dough into three parts if you want to bake some smaller breads like we did and shape them. 6. Score a cross into the top of the bread. Bake them in your BBQ over indirect fire for approximately 40 minutes. They're ready when they have a firm crust and hollow sound while patting on the bottom of the bread. If you bake the whole bread in one piece it will take about 60 minutes. 7. Let the bread cool down or serve along some red bell pepper/fennel soup, as a burger bun or with some delicious smoked chili.